If you are looking for the very best in protection, visibility and durability, we also design and install our patented Costa Clear Elite Series. 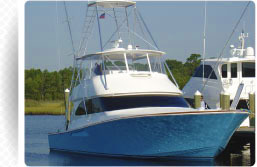 It is the ultimate marine enclosure! 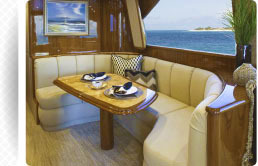 Combine meticulous craftsmanship and a dedication to customer service and you have our Marine Interior Divison specializing in custom dinettes, sofas, spreads & shams and hinged openings. We understand the importance of quality craftsmanship - something we never sacrifice. 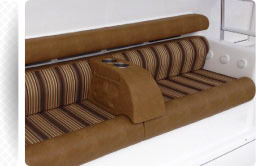 From custom covers to coaming pads, mezzanine seats to bridge and locker cushions, we've got you covered.